We all strive to help children become resilient critical thinkers with independent thoughts and actions. In our Montessori classrooms, opportunities for children to foster these skills arise on numerous occasions throughout the day. 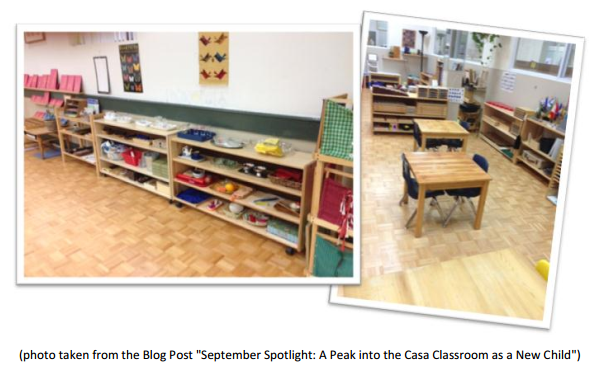 Much of it involves setting up the environment in a manner that allows children to do for themselves. Teachers and older children act as role models and guides. The tools to solve problems are available – whether it be physical objects or via guiding open –ended questions and statements; the adults in the environment then take a step back to allow the children time to work through situations and learn in their own way at their own pace. Each activity in a Montessori classroom comes with a “control of error.” These are aspects of the child’s work that provide feedback on each activity. The children use this feedback as tools for problem solving. Below are a few examples. Puzzle pieces only fit one way on the control boards. 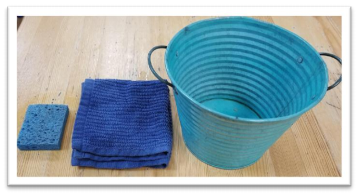 If water is spilled onto a table as a child is polishing, the child has the means by which to sponge up the spill. The same is applicable to dry spills that need to be swept. If another child finds a wet spot on the table or floor, he or she either questions who made the spill or helps to clean it up. 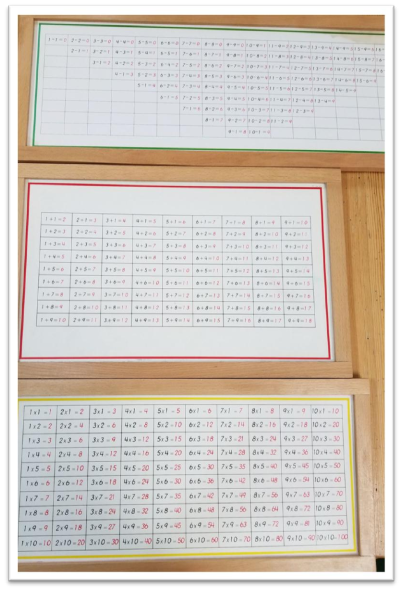 Control charts are available for children to independently check the number facts they write on paper. Children are not assigned seats or spots on the floor to do their work. 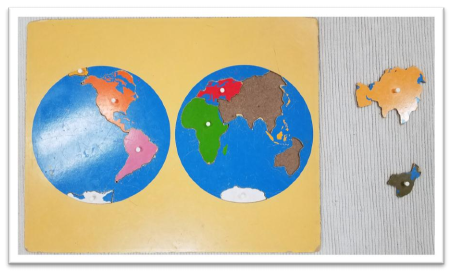 Spatial awareness and critical thinking come into play as the child maneuvers the environment and selects an appropriately sized area to accomplish his or her tasks. At times, the classroom teacher serves as the control of error, carefully observing a child’s work and providing guidance toward the solution. Often, this comes in the form of an open-ended question or statements. The language we use when speaking with children is so crucial in helping them become critical thinkers and problem solvers. For our youngest children, problem solving begins with identifying the situation that needs to be addressed. Teachers use statements to bring the child’s attention to key points or current circumstances. Often, the means to solve problems are already present within the child. Guiding questions can be as vague or as specific as the child needs in order to bring these solutions to the forefront without merely dictating them to a child. Each child is capable of independent thought and action in a myriad of ways. The keys to developing these skills are allowing for time, opportunities, and remaining mindful of the words we as adults use with the children. We must allow for struggle and risks to be taken so that genuine “A-ha!” moments can occur. 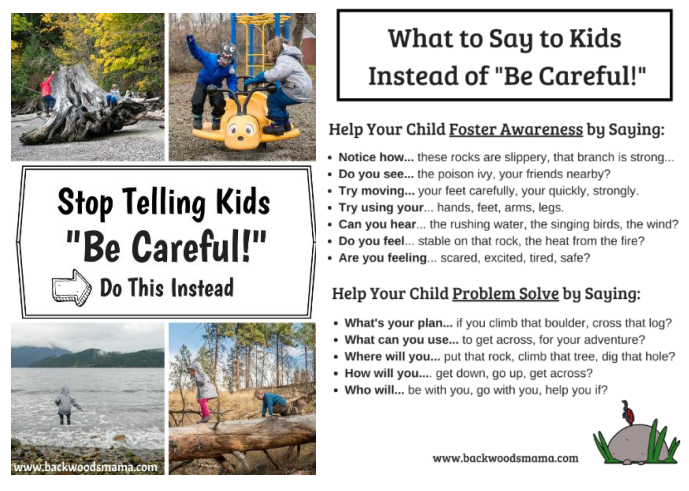 A wonderful article from Backwoods Mama touched upon the crucial role language plays in developing problem solving skills. Please visit Backwoods Mama to read the full article.